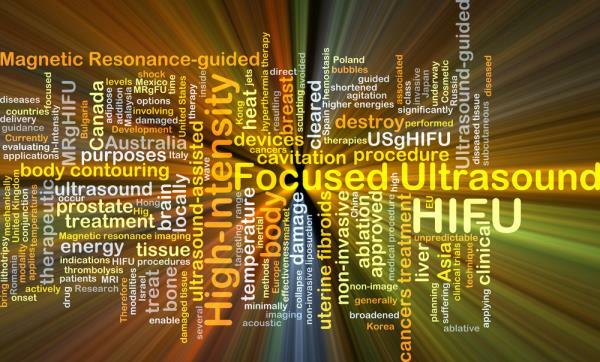 CANCERactive has championed the use of HIFU for over a decade. With HIFU, cancer tumours simply melt away, side-effects are minimal and hospitalisation can be just a few days or even as an out-patient. Finally, after many a disparaging comment, Cancer Research UK are hailing it a ‘revolutionary new therapy for cancer and associated conditions’! Researchers working at the Institute of Cancer Research (ICR), at the Royal Marsden Hospital in Sutton, south London have now been using the technology to kill off metastatic bone lesions. And this ‘breakthrough’ even claimed that, "in future, doctors believe they will also use ultrasound to zap prostate, breast and other tumours", just as we have been telling you for years. CANCERactive has frequently covered HIFU, localised hyperthermia, clinical trials on breast cancer from the Karolinska Institute and even the new Nanoknife. Patients reading CANCERactive newsletters over the past decade have been using the technique in private clinics in Germany and elsewhere successfully. Ultrasound involves using sound waves with frequencies above the audible limit for humans. At low power, ultrasound can be used to generate images of internal organs or foetuses growing in the womb. However, at very high energies, it can destroy tissue. Now doctors believe it could be used to heat up tumour cells and kill them. Neighbouring healthy tissue would be unaffected because of the precise targeting the Hifu devices can now achieve. We even covered it from six years ago in Chris Woollams best selling book ‘Everything you need to know to help you beat cancer’. Yet, his ideas were rubbished by pro-Pharma skeptics.